I’ve seen and listened to a million remixes of ‘Royals‘ and I think it’s safe to say most of us are tired of that song and its endless amount of remixes. But this is the first remix of ‘Glory & Gore’ that I’ve heard. In fact it’s the first time I’ve heard of this Lorde song. 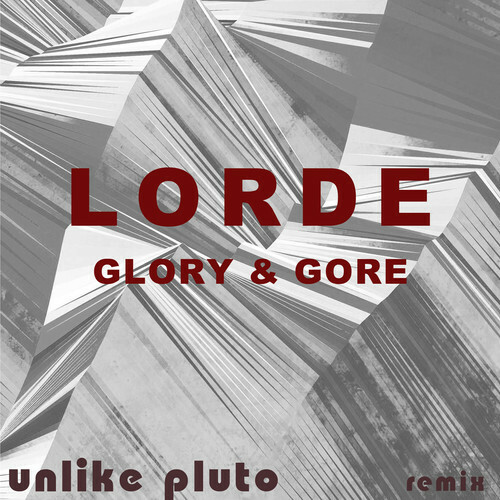 Nonetheless, Unlike Pluto delivers a stellar trap remix of ‘Glory & Gore’ by Lorde. Unlike Pluto is a 22 year old producer who currently lives in LA, but he was born in raised in Atlanta, GA. ATL Represent! Anyway, his remix does a fine job of incorporating Lorde’s distinct and fantastic vocals. I’m addicted to the build which makes great use of a guitar. What I like about this remix is Unlike Pluto gives the track a lot of energy, but it is not in your face or overwhelming. One pet peeve of mine is when producers create trap tunes that are just too overwhelming and are a burden on your ears. Unlike Pluto does the exact opposite of this, but he still allows the track to pack a punch. I’m in love with this remix, and I’ve been listening to it multiple times a day since he released it on his Soundcloud a few days ago. Unlike Pluto has many other great remixes and originals. He’s a really unique producer, and he doesn’t stick to just one or two genres. He tries many different genres and styles which gives me great respect for him. Unlike Pluto has a little something for everyone, so y’all should check out some of his other material. Plus almost all of his remixes and originals are available for free download, so you can listen to them where ever you’d like! To start though, give his remix of ‘Glory & Gore’ by Lorde a listen. Like many of his other tracks, ‘Glory & Gore’ is a free download so grab it and enjoy! Next ArticleThe Glitch Mob Is Back With A Vengeance!